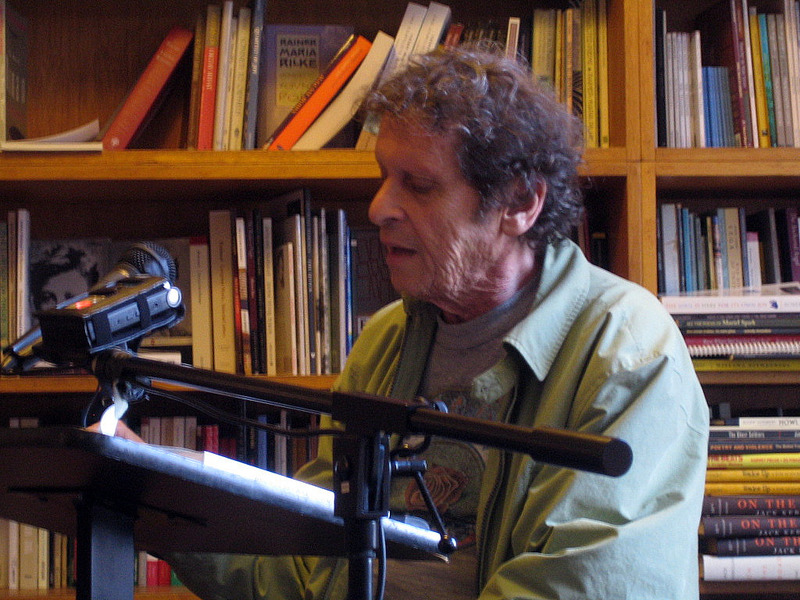 Paul Krassner at City Lights bookstore in San Francisco in 2009 (Creative Commons photo by Heidi De Vries). This was first published in 2012 as part of Boing Boing's RAW Week. It is appropriate that an altered version of Krassner's article would appear as the final addendum to RAW's final work; as noted in the essay it was Krassner who published RAW's first article that was composed around the physical dimensions of God's member. A few months ago Tom discussed Krassner's Confessions of a Raving Unconfined Nut and I chimed in talking about Ed Sander's Fug You. Like RAW's Cosmic Trigger, these are firsthand memoirs that give a special insight into the counterculture of the Sixties and Seventies. Krassner is not as idealistic as Wilson, nor is he anywhere as focused. If his works have a consistent theme it would be freedom of the press which Paul pushed for harder than most Americans. (Well that, the Grateful Dead, and marijuana, which he makes sure to plug in his essay here.) He and Wilson were different in many ways but both were retroactive titans of their time; their books reveal they were as instrumental to the civil/artistic unrest that remade the Western world as Abbie Hoffman (Krassner loved Hoffman, Wilson thought he was a dolt) or LSD (Krassner loved (s) LSD but was influenced more by the freewheeling Kesey whereas RAW loved LSD but was influenced by the visionary Leary). In their unique ways both men/are brash and unafraid- Americans who truly exercise(d) their First Amendment rights. Krassner recounts how RAW was barred from the Prophet's Conference which Wilson discusses in more detail within TSOG (I think). 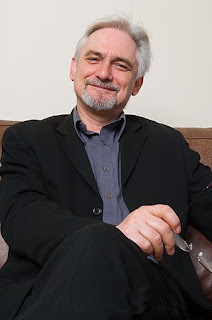 Both RAW and David Jay Brown questioned the Conference's decision to exclude RAW because of his unmarketable lexicon and were met with baleful resistance. In hindsight I believe the people responsible would agree they made a disastrous mistake by excluding RAW. I believe that one reason why Wilson never reads as queasily as New Age or other professionally optimistic writers is his unassuming diction. The Prophets Conference obviously missed out on this feature. As mentioned in this reading group a few weeks ago: I do not feel that there has been much evidence of acidheads taking over the corporate world. Perhaps it is more that the acidheads who succeed in the corporate world are the milquetoast type who can afford conferences in Hawaii where the speakers make sure to only talk about the polite parts of activating your chi. Thank you to those who stuck with me through this reading group and I hope that you've enjoyed going over email to the Universe. Thanks especially to Tom Jackson for his generosity of spirit and his openness to our different voices in this space he has created. I don't care what any of you say, I think he's a fine person and I can't bring myself to believe the awful things you've said about him. This has been fun and I look forward to chiming in when we talk in the future! My wife and I attended a Prophets' Conference in Phoenix twenty years ago and heard Bob talk. Thanks Gregory and Tom for an illuminating study group. Pg. 281. I remember I got a group email from Christina Pearson when Bob died while I taught a tenth grade English class. I read the class Dylan Thomas's "Do Not Go Gentle into That Good Night". Pg. 282. My grandson Gordon came into this world on Feb. 22 this year, the anniversary of Bob's supposed death. Pg. 284. Richard Rasa said Bob didn't want anyone to channel him. R. U. suggests "Bob's consciousness is hovering around." We sure could use it in Trump's America. 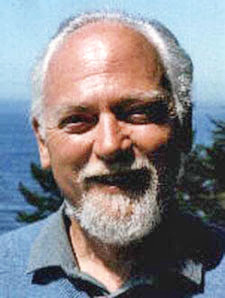 Wilson was a very significant teacher for me in the area consciousness studies. His writings changed my life. The subject this week is his death and remembrance. About 4 days ago another very significant teacher for me, in the area of studio engineering, died. It was unexpected and shocking for me, and I'm writing a blog for him in remembrance. The day RAW died I was mixing a cover of Leonard Cohen's "Hallelujah" by African musician Wasis Diop. At the time, I wasn't familiar with this song and thought it very beautiful despite not understanding most of the French lyrics. I got news of his death that night. I found out later that this song is often played at memorial services. On acid and the corporate world: Frank Zappa summed it up nicely. "Did you ever consider that LSD was really one of the most dangerous drugs ever manufactured because the people who took it turned into yuppies?" Yuppies may no longer be with us in quite the same way, but their legacy is with us in many TED talk visionary entrepreneurs, wanting a capitalism that can open their chakras.